Long-time participant and Northern Ireland aficionado Chelsea Watts is currently on her third service-learning trip with Amizade. 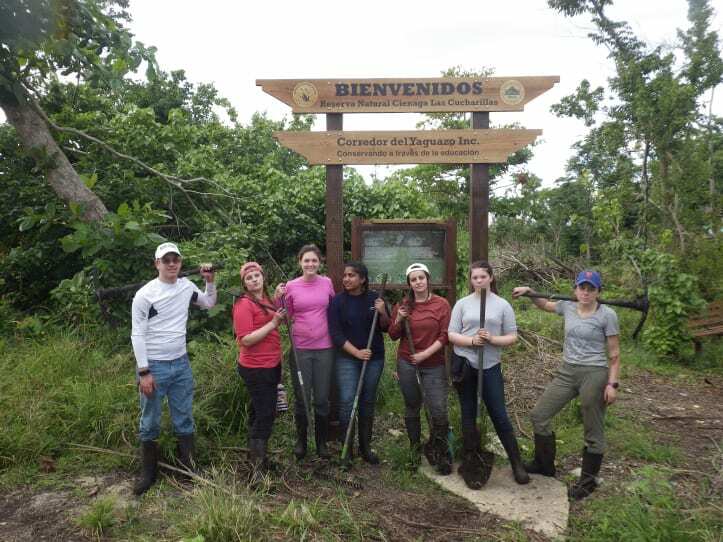 This time she is in Puerto Rico learning about the rebuilding efforts after Hurricane Maria and helping to restore the mangrove wetlands. 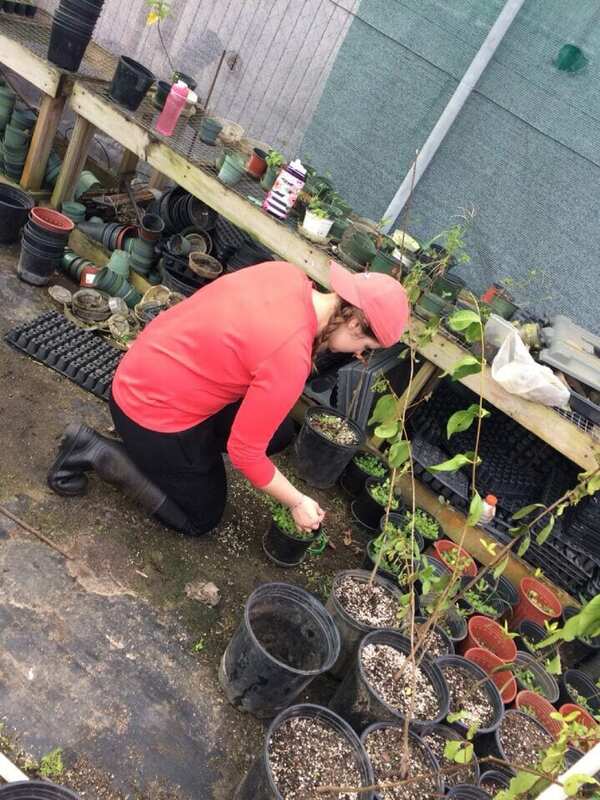 Below is a recent post about a day of service during her alternative spring break that you can also check out on her blog, “The Watts World.” Thanks for sharing with us, Chelsea! My day got off to a sweet start! Yesterday I had asked Luis what fruits are best from Puerto Rico, but he couldn’t give me a straight answer because they’re all good apparently. This morning, he brought me some fresh guava from his yard, and they were wonderful! Definitely not the texture I was expecting with so many seeds, but they were lovely! Working in a mangrove restoration wetland will get you muddy? Whodda thunk it?! We started our full day of service by weeding the young potted mangroves. I didn’t think my weeding skills would’ve come so much in handy while I was here. Thanks, Mom, for teaching me your weeding ways! There was something so therapeutic about pulling weeds for several hours. Maybe because they weren’t as massive as some of the ones we get back home, or maybe it was some of my company. I found a baby coqui on one of the plants that I took to the edge of the wetlands where he wouldn’t get squished. We also had a nice assortment of lizard visitors. My personal favorite was our massive toad visitor. Unfortunately, his appearance was brief. We had our lunch at the Puente Blanco Community Center again. Having some good food and time to relax after our morning in the sun made several of us realize that we were ready for a nap. BUT THERE ARE NO NAPS ON THIS TRIP!! After lunch, we headed back to the wetland to start clearing a field for planting. We were broken into little groups to work as efficiently as possible. And efficient we were! My group had some struggles with some pretty strong roots that refused to be moved, but in the end, we prevailed. My skill for digging up pesky roots really came in handy for the afternoon. (Thanks for that too, Mom!) We also dug up many many old empty bottles, a tire, and part of the foundation of a house. At one point, the area of the wetland we were working in was used illegally as a dumping ground. We were able to have the field cleaned out in the time we had this afternoon, even with the rough heat. It was important for us all to keep drinking water, and even a little sip made a massive difference under that Puerto Rican sun! Unfortunately, in the afternoon, we didn’t have many animal visitors… just a few frogs and three iguanas when we first entered the wetland. At least I wasn’t constantly distracted by animal buddies though! After we were through, we stopped at one of the homes in the municipality where the family sold frozen fruit juices. From what Mariella and Luis told us, at least one family in every community sells this childhood treat, and after a long hot day in the wetland, the frozen coconut juice was just the thing I needed! When we returned to the hotel, I was able to indulge in the most satisfying four-minute shower before heading to dinner. I began to feel my day’s work around that time, especially in the back of my legs, but that feeling is completely worth the effort we are putting in to help bring mangroves back to Puerto Rico.